Since August when Luxor Times breaking news about the Christmas present went viral, (check here) people have been wondering if it will actually happen and photography will be allowed in the Egyptian Museum in Tahrir. Many professional and amateur photographer took the opportunity for the free photography between 1st of December 2015 till 7th of January 2016 and took thousands, if not even millions of photographs of the ancient Egyptian masterpieces hosted at the museum. Now, the news we would like to share with our reader that photography will be allowed with no dates limitation. 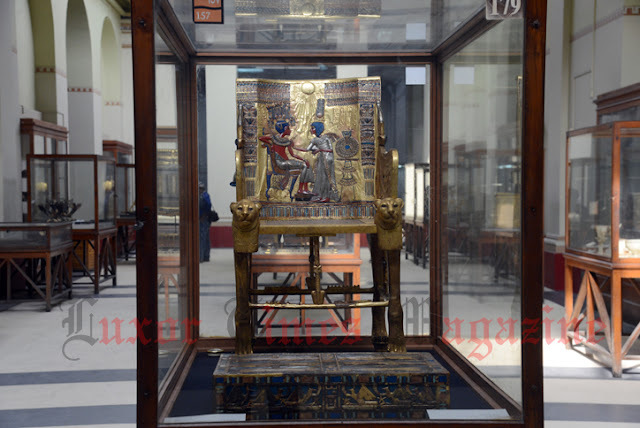 Dr. Khaled El-Enany, General director of the Egyptian Museum in Cairo, told Luxor Times today "There will be photography ticket for 50 Egyptian pounds for both Egyptians and non-Egyptians. The tickets are being printed at the moment and will be available in the next few days." So ladies and gentlemen, get your cameras ready. P.S: of course no flash allowed or photography in royal mummies rooms.